Chancellor Douglas Girod and Athletic Director Sheahon Zenger announced the “Raise the Chant” campaign. It includes upgrades to Memorial Stadium and the baseball facilities, as well as construction of a new volleyball arena and completing some renovations to Allen Fieldhouse. LAWRENCE, Kan. (AP) The University of Kansas has unveiled a $350 million, five-year fundraising campaign to upgrade its athletic facilities. Chancellor Douglas Girod and Athletic Director Sheahon Zenger announced the "Raise the Chant" campaign. It includes upgrades to Memorial Stadium and the baseball facilities, as well as construction of a new volleyball arena and completing some renovations to Allen Fieldhouse. The campaign got a boost when alumnus David Booth pledged $50 million, the largest donation ever to the athletic department, and also received $10 million from Stu Horejsi. 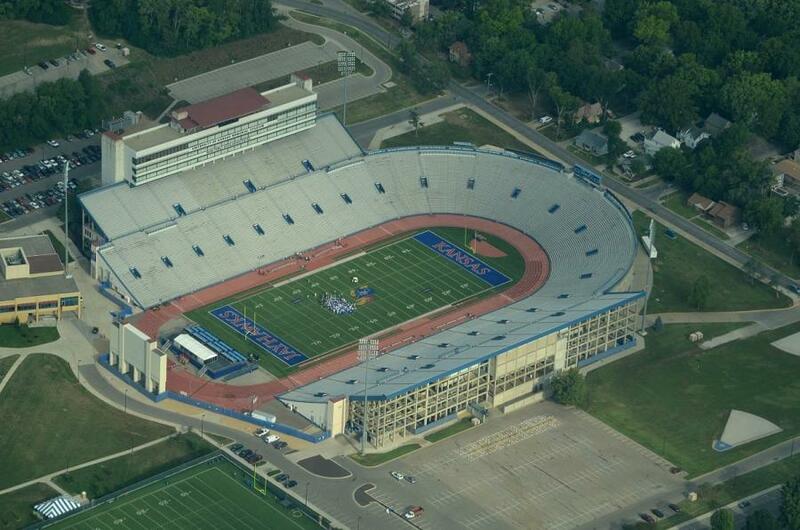 The main project will continue renovations of Memorial Stadium, including construction of an indoor practice facility. Kansas Athletics also will be receiving more money after signing a 12-year extension with Adidas, which will provide $191 million in sponsorship and apparel.